The effects of bullying on a child’s self-esteem can be devastating long after the bullying stops. 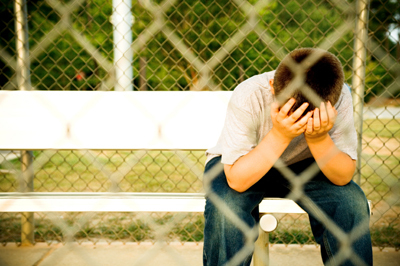 Even a child who is only bullied once in his or her life can suffer long-lasting effects. Of course, children who suffer through years of torment and torture are likely to exhibit even more severe self-esteem issues. Some of the effects are blatant and a direct result of the bullying, while others can be more subtle and result from other effects of the torment. Understanding how bullying affects a child’s self-esteem can help alleviate some of the long-term damage. Learning about the different effects can also encourage more parents to get involved in preventing bullying. ►► Never Miss a Bullying Story! Sign Up Today & Receive 70 Positive Reinforcement tips. Loss of confidence. One of the first effects of bullying on a child’s self esteem is self-doubt, or loss of confidence. The child may feel like he is not as good at a particular sport as the bully, or that he shouldn’t even bother trying out for a team. The sad thing is, many times the bullied child IS good at a particular activity, and the bully is jealous of his talents so does whatever he can to belittle the target. Self-Criticism or Rejection. When children are constantly belittled about something, they come to believe it is true. When they’re belittled over something they can’t possibly change, such as their height, skin color, or other physical attribute, it becomes even more damaging to their self esteem. They tend to believe that they are less of a person simply because someone else constantly makes fun of them due to their differences. Children should be taught that everyone is different in one way or another, and that is what makes the human species so exciting. If we were all the same, we’d be boring! Bed-Wetting. One of the more subtle effects of bullying on a child’s self esteem involves bed-wetting. Research indicates that children who are bullied tend to be more prone to wetting the bed later into their childhood years, which in turn damages their self-esteem and causes them to avoid overnight social situations like sleepovers and camp. Isolation-When a child’s self esteem becomes severely damaged, he or she may choose to avoid friends and family altogether. The child may also become depressed or anxious. Isolation can lead to deeper issues, and can also make it more difficult to see those issues arise. If your child is spending all his free time in his room alone, you are less likely to notice other changes in behavior. The effects of bullying on a child’s self esteem ultimately depend on the child being bullied. Some children are better able to cope with such torment than others. Still, no child should have to put up with being made to feel small and helpless. Bullying affects more than just a child’s self-esteem during the school years. It can follow them long into adulthood and wreak havoc on all their future relationships. In worst case scenarios, children who are bullied can become suicidal, homicidal, or bullies themselves later in life. Stopping the cycle early is vital. i think that bullyies are not perfect,and no one is perfect. i have gotten bullied when i went to waland union schools,the teachers didn’t care what i would tell them. they would inore me and i think they delibitataly would just sit there and whatch it with amusment thinking it was all just a joke. one year my mom felt so bad for me she let me skip a year. now i go to hopkins middle school and the teachers really care about bulliying. they actualy put up posters and try to stop bullying from happening. when i got here i felt reashured that i would get accepted,and i did. now i’m 12 and i have freinds that stand up for me. Everything here is so sad and so very true. I was picked on in middle school by a complete jerk and his name and his words are still stuck in my head at 38. Great post. I am glad someone tackled this topic well. I have seen far too much bullying. True story that my older daughter has had bullies consistently throughout her grade school. They often change in shape and age but they impact self esteem. No question at all. I’m always so concerned about bullying in and around my kids and other children. For me, I believe it starts at home and in the home environment. I think the source is always in the personal lives of the children who are bullies. Sadly enough, a bully is always having self esteem issues of their own and usually cannot share that with anyone else. God help the child who has not his own. I never thought of bed wetting as a symptom. Thank you for this info! Bullying is a HUGE deal. I am glad to see people more and more bringing attention to it and how serious it is! Bullying is something that will hurt you for your entire life. I wish there was an answer to make it all stop for everyone. I never thought of it but of course there could be side effects like these. Bullying has a domino effect that’s just ugly. My son has been in this situation. As a mom it makes me angry and sad for him. Kids can be so mean. Bullying is such a terrible thing. I can remember being bullied when I was younger and it definitely effected my self esteem. I learned how to stick up for myself and it’s been the best gift to myself. Thank you for the heartfelt article and for giving tips on how we can detect if our child is being bullied. I can see how this could have lasting effects. I don’t think bullies take this into consideration. It’s important for authority figures to intervene. So sad. We have got to end bullying once and for all. These feelings I’m all too familiar with… Thanks for bringing awareness too this issues! Great post! I am going to share this with a local group I have about bullying in our schools. It’s still unbelievable to me how cruel kids can be to each other. This is so common now, and we don’t think about the long-term effects. We need to continue to bring awareness to this issue. It’s so sad to know bullying goes on. It’s also so sad to know children learn it from their parents. This is all so very true! I was bullied as a child when I was only 9 years old and I have never forgotten how it made me feel. I can only imagine the effect it has. No child should go through that. I was bullied as a child. And it was merciless. I still suffer from its effects, to this day. It’s not a phase or a rite of passage or something all kids do…it’s a horrible, painful, devastating, and frightening experience. And it makes you dread every single day of your life. And there’s NOTHING anyone can do to change it (at least that was my biggest fear/concern), because when you “tell,” it gets worse. And when the bully/bullies are punished/reprimanded/talked to, it has no effect other than giving them more ammunition and more motivation to harass you and make your life miserable. I wouldn’t wish bullying on my worst enemy. I am sorry Kristin. This is terrible. I am in tears reading this.. My son was bullied at school. I think his self-esteem did not suffer a lot because each time we supported him and made noise at school. You are right: when we talked, the bullying got worse. We continued talking though and LOUD. It stopped but the consequence: he is rejected by his friends…Not easy at all. This is a great article on bullying and the effect it has on self-esteem! Thank you for sharing this…it’s also important to note that children who already have a strong positive self-image will be less likely to be bullied or be bullies…one more reason parents need to do all they can in those early years to help children build self-esteem. I blog about it all the time and my book gives parents and techers quick and easy activities that can help. Please spread the word if you can. 🙂 I’ll be posting your article on Facebook and Twitter! Thanks Vivian, I will spread the word! I loved your book about self esteem.. This is a great article and one that everyone, especially middle- and high-school students should read. No one thinks about the lasting effects of bullying when it is currently happening, and this post would no doubt be an eye-opener for many. Self-esteem issues are so common, bullying makes it worse. Glad to see that you’re helping to spread the word! That is so true, I’ve seen so many people struggle self-esteem because of bullying they received as a child. It undermines the entire sense of self. It’s hard enough to deal with unreasonable criticism as an adult, but children are just learning who they are and having to deal with that is so hard. Great article and so true! I can still remember some of the mean things that were said to me by other kids at school when I was younger – those wounds heal, but they don’t go away altogether!